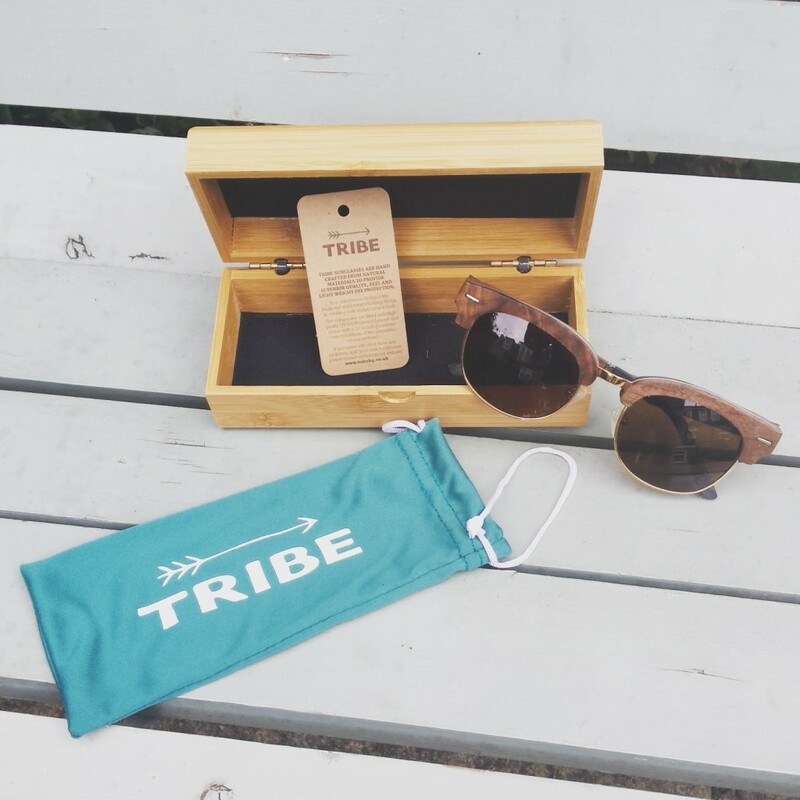 Since beginning my work in the world of ethical fashion this summer, I was immediately drawn to Tribe Sunglasses. The whole idea that no two pairs are the same caught my attention immediately. I had to get a pair and luckily my prayers were answered. Arriving in a thick wooden case, it is easy to see that these shades are made with care at every stage. The sunglasses featured below are my Maverick’s priced at £84.95. Hand-crafted from sustainably grown Zebrawood, Red Rose Wood and Sandalwood, these sunglasses represent the benchmark in ethically sourced accessories. Unlike other sunglasses I feel that I can call these shades “mine” due to their unique grain pattern. No two pairs are identical and I love that. Even better the look and build quality is fantastic, they feel sturdy and durable; fitting perfectly around my head. Tribe represents a new fashion brand destined for big things. The company itself stresses the uniqueness of each of its products, but this ideal of uniqueness can be applied to the company as a whole. Put simply Tribe offer a fresh take on ethical fashion, providing unique and beautiful products. Safe to say, I am a big fan.